Gutter Installation Nashville: Does Your Gutter System Need To Be Replaced? When you are looking at needing a major roof repair, or a total replacement, be it commercial or residential, you will have several important decisions to make. Some of these will center around the selection of the roofing material. After you decide if you want a metal or a shingle roof, and what kind and color shingle you want, you’ll still have a few decisions to make. One of these choices is whether you want to include new gutters with the roof services. Unless you have studied gutters, some of the issues may not have occurred to you. 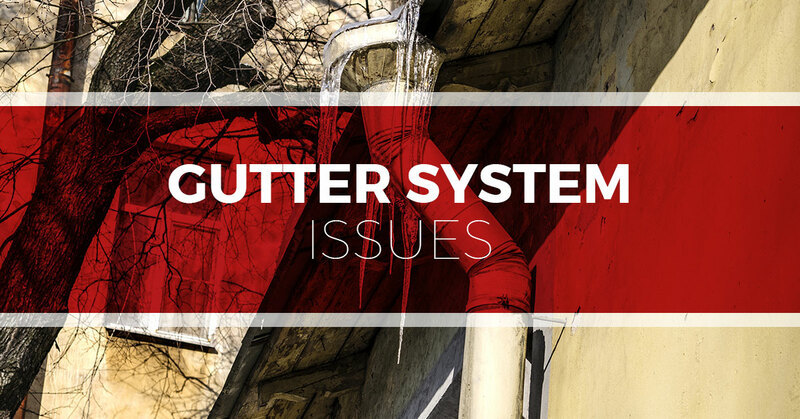 In this week’s article, we’ll look at some issues around gutters that you may not have encountered before. Everyone knows that gutters serve to channel water off of the roof, but not many have thought about why we use them or when they need to be repaired or replaced. Gutters along the edge of your roof do a very important job and if they are absent or poorly installed, they can have a negative impact on your home. They make sure that water doesn’t leave the roof’s edge and pummel the ground below with water, making trenches around your home. When this happens, the ground around your home can become saturated, and this can have a detrimental effect on the health of your foundation. Signs of damage to your foundation are shifting in the house, resulting in cracks in the wall. If you have a basement, look for cracks and small leaks, and sniff for a mildew smell. If these things are happening, the source of the problem may be the gutters. If the gutters are not installed properly, they can leak and have the same effect of letting too much water be exposed to the foundation. Another common problem of poorly installed gutters is that they are not properly angled so that water is guided to the downspout by gravity but instead the water pools. When water pools in gutters it can cause several problems. The first problem is that it is an open invitation to pests. Mosquitoes and other pests use standing water to breed in. Mice, rats, raccoons, and other furry pests use standing water as a drinking hole and are more likely to set up house close to access to water. Ice dams can also result from poorly installed gutters. 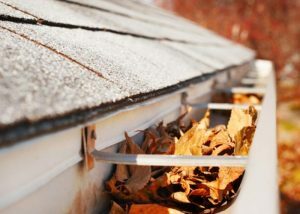 This is where an accumulation of thawing and freezing water builds up and finds its way into tiny crevices in your roof. Ice dams can cause substantial damage to roofs and need to be avoided. Making sure your gutter system properly drains the water coming off your roof is one step in avoiding ice dams. If you think your gutters need to be adjusted or repaired, call Tim Leeper Roofing for an inspection. If you are looking at substantial roof repairs or a total roof replacement, you may wonder if you also should replace your gutters since the crew is up there anyway. Conditions that indicate that your gutters should be replaced are if the fasteners are loose or missing, if the gutter has come free of the fastener, or if the wood that the gutter is attached to is rotten and can’t hold the weight of the gutter. Older gutters have a separate fastener that goes between the gutter and the wood. Modern gutters are screwed directly into the wood so only if the wood is not holding the gutter will it need to be replaced. If these issues are not a problem with your troughs, then your roofing team can likely just cover them during work instead of replacing them. Call Tim Leeper Roofing today if you need work on your gutters or roof.